Bhadarwah (J&K), Aug 7: A 16-year-old boy studying in Class X got washed away in flash floods while crossing a stream on his way to school in Jammu and Kashmir's Doda district today, officials said. Raja Owais, who was going to appear in the first-term examination, drowned in Chinyass nullah (stream) in Bhalessa area this morning, said Bhadarwah Assistant Superintendent of Police Rajinder Singh. A police party from Gandoh immediately rushed to the spot and started rescue operations. After hectic search, the body of the teenager was fished out from the stream and handed over to his family, Singh said. Officials said the district authorities ordered closure of all schools for the day as a precautionary measure in view of the inclement weather. 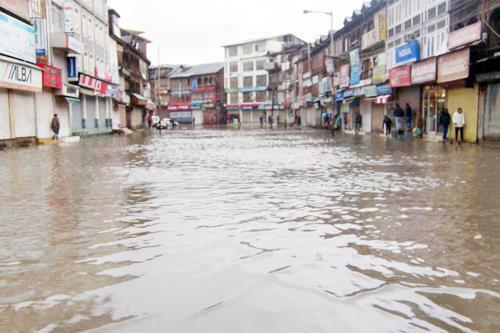 Most parts the state, including Doda, were lashed by heavy rains since last night, triggering mudslides that led to road closures at a number of places in the hilly district, the officials said. Traffic on the Batote-Kishtwar highway was restored partially after remaining suspended for over five hours due to landslides at several places, including Dansal, Assar and Koura Pani. The clearance operation is still going on, said Zohaib Hassan, the deputy superintendent of police, traffic.